Everyone's got that special holiday dish. That dish that everyone in the family knows and loves and waits for with anticipation each year. 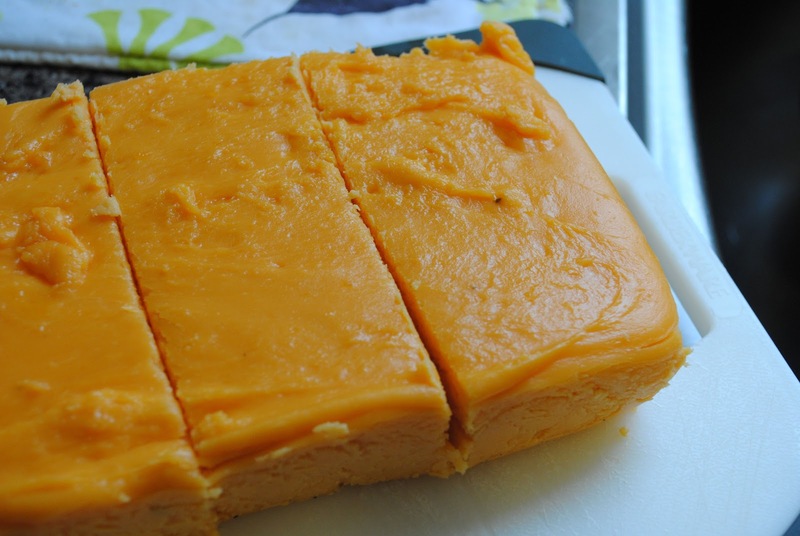 Chances are said special holiday dish contains some sort of condensed or cream of or processed cheese loaf sort of a situation. For many many years, Pegs has made a Christmas Eve Cheese Dip that I freaking die for. I love it with all of my being and it is the embodiment of all that is Christmas for me. Sounds dramatic? It's not. I love the dip that much, people. I don't play around with appetizers. It wasn't just us lovers of the Christmas Eve cheese dip that suffered. The ladies of the Baton Rouge Junior League seemed more than a little freaked about life after the cheese roll, it seems as though it was a vital ingredient in their Spinach Madeline. Their Spinach Madeline, Peg's Christmas Eve Cheese Dip. Was all hope lost? Were we destined to a life void of our favorite flavored cheese roll?? What were we going to do!!?? Surf the interwebs for the solution, that's what we were going to do!! Or, rather, complain about its scarcity to a friend over email and then rejoice when they search the interwebs and discover the solution. Ladies....enter the best thing to happen to our dips since the Frito Scoop. The homemade garlic cheese roll. 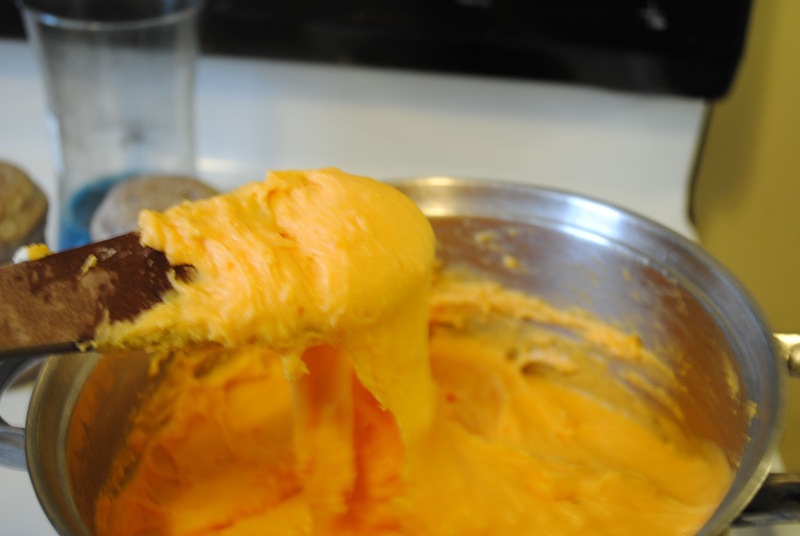 In a double boiler, melt the cheddar cheese, cream cheese and velveeta together. Add in the garlic powder, seasoned salt and liquid smoke. Combine all ingredients well. Pour into a loaf pan and allow to cool and set. 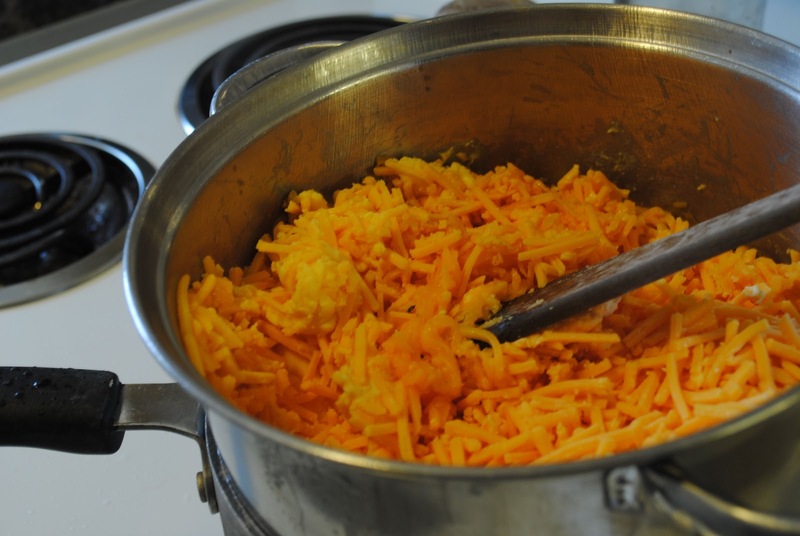 Invert the pan to remove the cheese loaf. Divide into four equal loaves. 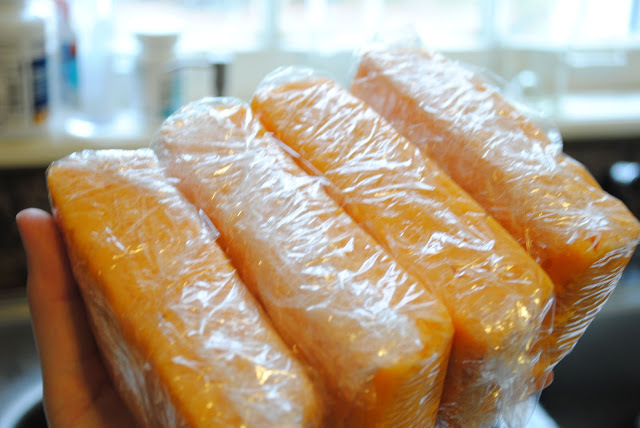 Wrap each one tightly in saran wrap and refrigerate until ready to use.